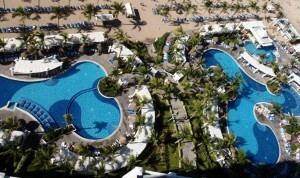 All-inclusive Riu Emerald Bay Mazatlan is a large-scale family resort that knows how to pack in value. 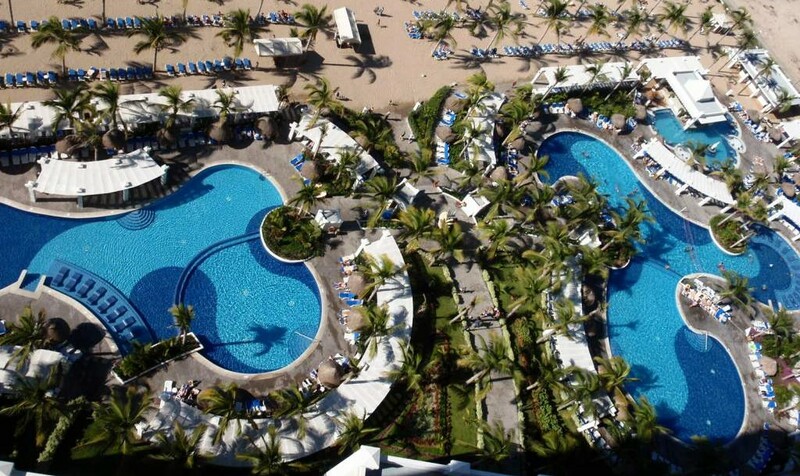 Clients looking for good food and excellent accommodations at affordable prices need look no further than the Riu Emerald Bay in Mazatlan, Mexico. Not only is the 716-room property on Playa Las Brujas family-friendly, but it is also very popular with locals — occupancy typically hovers well above 90 percent. Due to its architecture, all rooms face the ocean. Standard double rooms maximize space in one- or two-bed configurations and offer balconies with great views. Each floor also features Jacuzzi Suite rooms, with almost three times the space of a standard room, and two Jacuzzi tubs (one in the bathroom and one on the balcony). Popular with families, the duplex bi-level units are an economical way to sleep a family, with two sofa beds and a bathroom on the lower level as well as a master bedroom and bathroom on the upper level. Guests have a variety of facilities at their disposal, including three pools, one with an adjoining Jacuzzi, another designated as adults-only. Children can splash around in their own pool located in the kids’ club, RiuLand (for children ages 4 to 12). There’s an on-site nightclub with a show lounge theater, where drinks are complimentary. Also included is Wi-Fi in the lobby, a nice perk for guests traveling with their laptops. The main lobby is decorated in a modern style with a take on art deco, offering clean lines and bold colors of white, silver and gold tastefully blended throughout. Arguably one of the top selling points for the resort, the Renova Spa, conveys privacy and a sense of seclusion, forming a haven for spa-goers rarely seen in other properties. 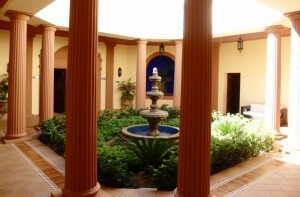 It offers two single and five couples’ massage rooms for treatments ranging from massages and facials to body wraps. Also located here are a full-service beauty salon and a fitness center. The spa, coupled with an impressive on-site conference center, make the resort a great candidate for meetings and incentive planners. Guests have a variety of dining options including buffets and alternative Mexican, Asian and steak restaurants by reservation. The buffets feature made-to-order stations, grills, salad bars, desert bars and a Mexican stew pot station with rotating regional meat specialties. Food is presented simply in an unpretentious manner. Cold mixed salads, rotated regularly, prepared meat dishes, cooked-to-order pastas, fruits and deserts offer something to suit just about everyone’s tastes. Make sure, however, that your clients try the alternative dining venues. All offer strictly limited seating to reduce noise and provide an intimate dining experience. My favorite was the Asian fusion restaurant’s sushi buffet, located in a decidedly red-and-black garbed room with Buddha statuary to enhance the ambience. 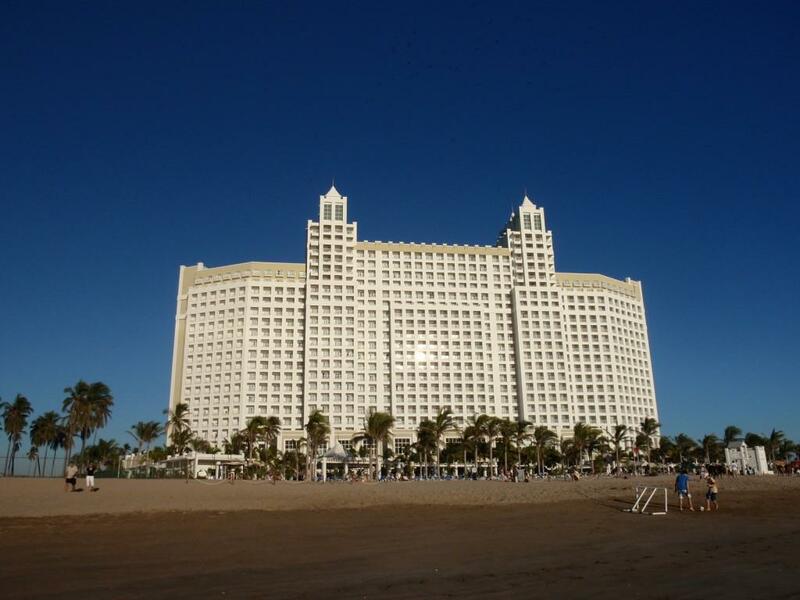 It is important to note that the Riu brand, like other hotel chains in Mexico, operates on different all-inclusive levels. 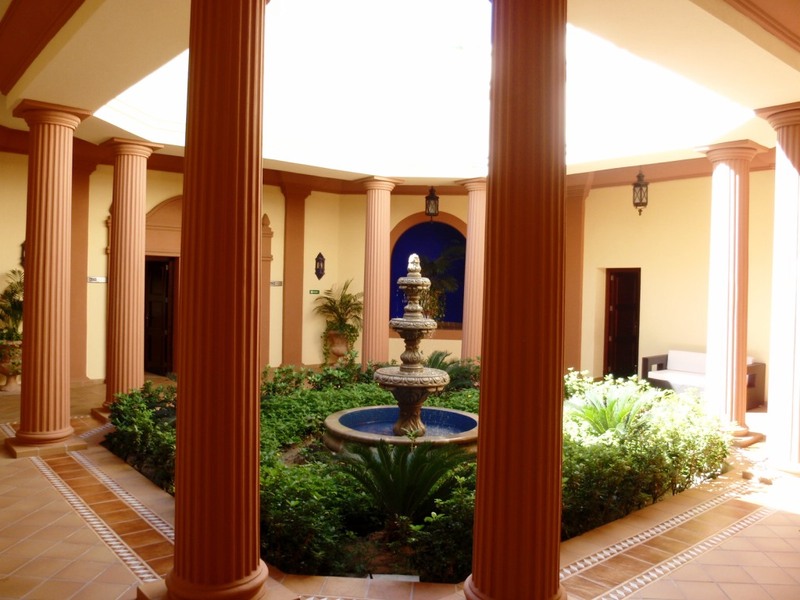 This resort is considered to be a Club property, rather than a Riu Palace property, so it’s important to qualify prospective clients and set expectations correctly. 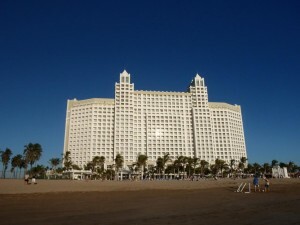 For example, the 24-hour all-inclusive rate at Riu Palace properties includes room service; at Club properties, such as Emerald Bay, room service is not available, and restaurants are not open past midnight. The Riu Emerald Bay caters to families and groups quite well and, while individuals and couples can easily enjoy their stay, many amenities are designed with children in mind. 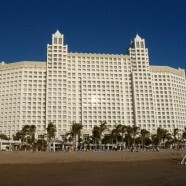 And, if you have clients looking to save money, the Riu Emerald Bay is indeed a great value. Marc Kassouf is owner and CEO of Pride Travel, specialists in catering to the needs of gay and lesbian clientele. Kassouf holds numerous industry certifications, most notably by CLIA, the Travel Institute and various destination visitors’ bureaus. He sits on two board committees of the International Gay and Lesbian Travel Association, has traveled to nearly four dozen countries and has sailed on more than 60 cruises.